The Keansburg Connection: Keasburg Ranked #2 by Realtor.com in the Country! 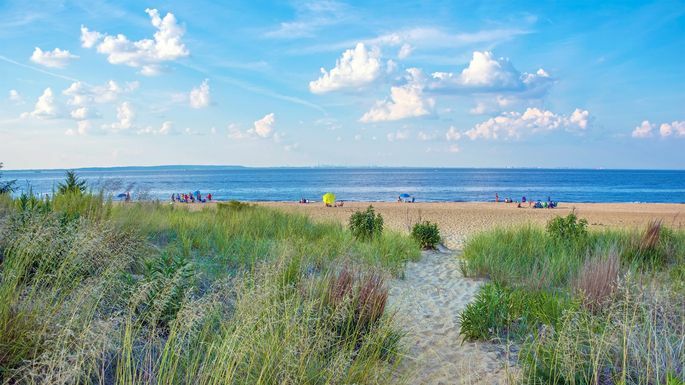 For a lower-key Jersey Shore experience, try Keansburg. The public beach doesn't have lifeguards on duty, but the sand is powdery white and the sunsets are stunning. So blast some early-period Springsteen(headphones, please) and chill. Like Atlantic City, Keansburg is also slowly recovering from Hurricane Sandy. Today, home prices are among the cheapest on the Jersey Shore—you could find a decent home a stone's throw away from the beach for around $150,000. And things are looking up for developments. Last year, a $65 million, mixed-use project broke ground on the waterfront. Expected to be completed by summer 2018, the complex will feature two stories of retail space, together with a collection of market-rate and affordable apartments.